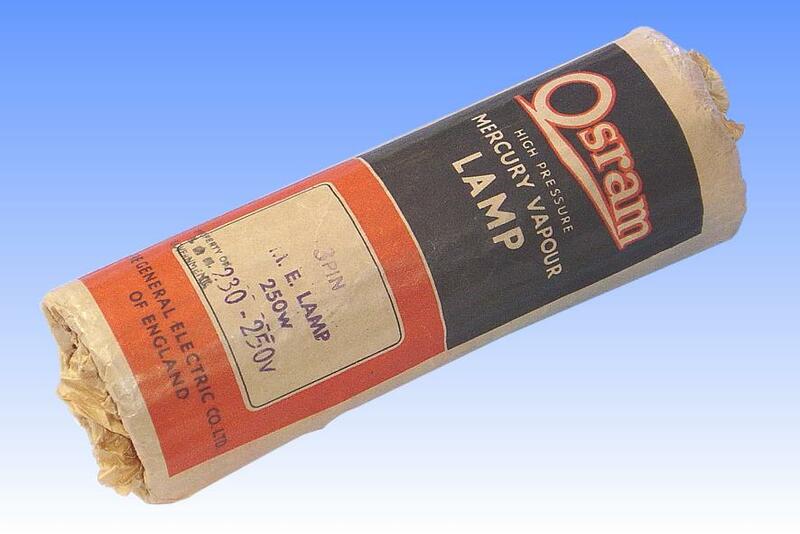 The arc tube design in this lamp represents the very earliest style based on the molybdenum foil seals. The first manufacturing step was to weld up the electrode assembly, consisting of the electrode tip, molybdenum sealing ribbon, and flat strip conductor. 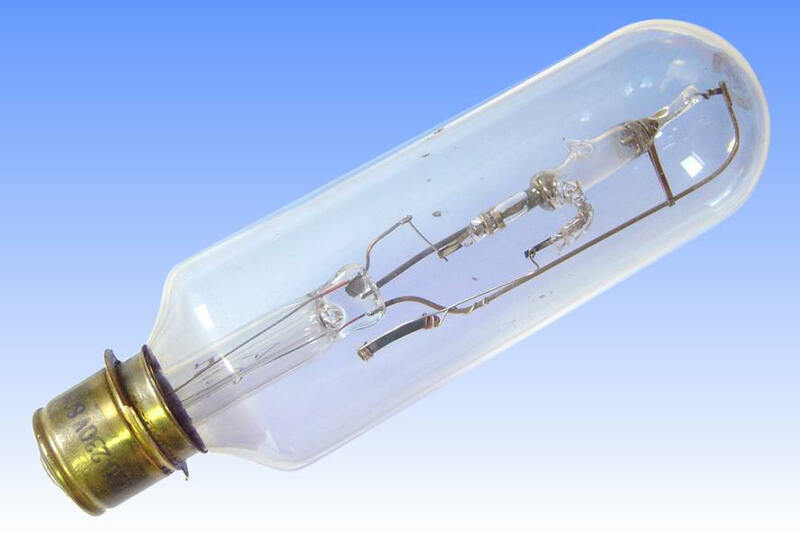 This was placed in a slender quartz tube, which was evacuated and sealed off. Subsequently by heating the quartz intensely with a gas torch, the quartz was collapsed around the molybdenum ribbon, forming a vacuum-tight seal. 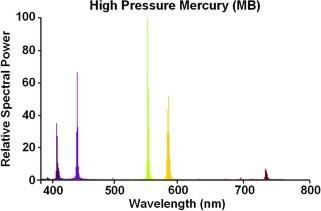 No oxidation was encountered, since the operation was performed under vacuum. Subsequently the excess non-shrunk quartz was cut to expose the electrode. The arc tube body was next prepared. 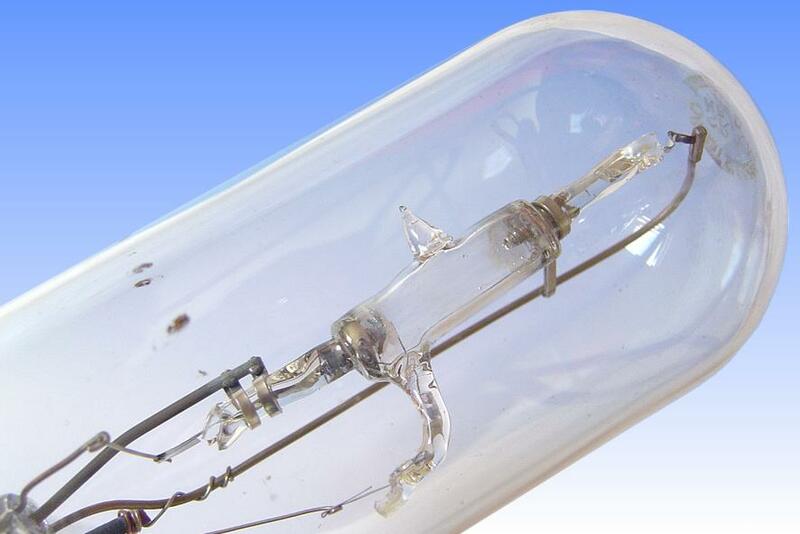 It consists of a quartz tube pre-cut to length, which was first side-tubulated. The electrode of the pre-sleeved end seal was then inserted into the open end of the arc tube, and sealed in by a skilled glassblower. This was repeated for the second end, and finally the auxiliary ignition electrode would be sealed into the side of the tube. To reduce the size of the arctube, the side seal is bent 90 degrees over the region of the foil. The suffix /D to the name of this lamp simply implies that it is intended for burning in the cap Down orientation, as is common for most projection apparatus. 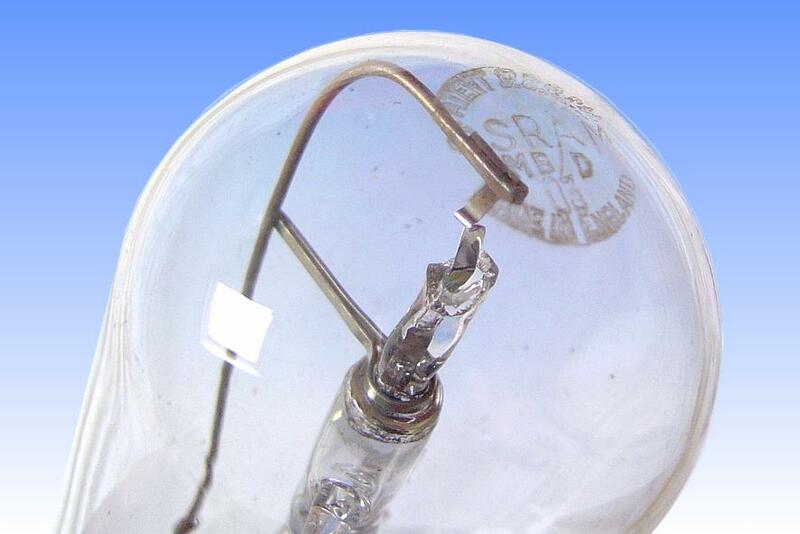 The outer bulb is made in ordinary soda-lime glass, and the lamp is based with a normal medium size prefocussed cap.